For women with an elevated lifetime risk of breast cancer, management options include surveillance (with mammogram and MRI), prevention therapy, and surgical risk reduction with bilateral prophylactic mastectomy (BPM). 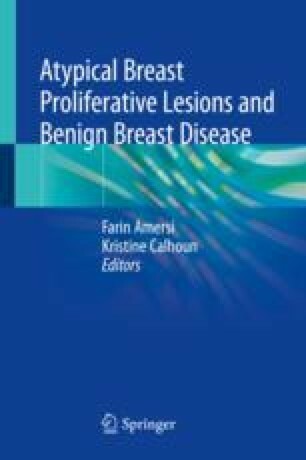 Prophylactic mastectomy decreases risk of breast cancer development by 90–95%; however, BPM has significant impact on body image and potential psychological effects. Atypical hyperplasia is generally not an indication for BPM, and management recommendations focus on screening for early detection and prevention therapy. For women with multiple foci of atypical hyperplasia, the lifetime risk of breast cancer is not dissimilar to patients with a genetic predisposition gene. In these women, surgical risk reduction may be considered, although medical prevention therapy is favored.